For a country dominated by motorists like the US, it's amazing how many well-developed bike trails are in Central Florida. This ranges from sandy trails through the wild nature parks, beautifully paved paths in urban parks, to difficult mountain bike trails in selected parks such as Doris Leeper and Chuck Lennon. But the main attraction are the beautiful multi-use trails through the country, which were created in the last few years and are not yet completely finished. 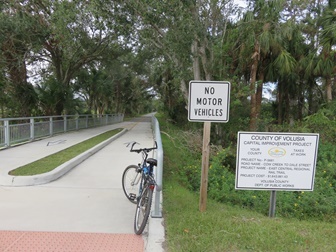 So is a 260-mile bike trail under construction / planning to go from the St. Johns River through Volusia, Flagler, Putnam, St. Johns and Brevard Counties. These are well-laid, paved paths for bikers, skateboarding, walkers or whatever you can do without a motor. They are mostly off the beaten track in the middle of nature, roads are crossed, these transitions are usually well secured, and on the trail there are always benches, restrooms, drinking water and repair stations with air pump. At the endpoints, but also in between, are trailheads where you can park your car, mostly with restrooms and other facilities, and everything is clean and well maintained. The highlight was on a trailhead at Lake Mary, there was even a vending machine with free sunscreen. And often on the mountain bike trails there is even bike wash, so you do not have to take the dirt-spattered bike home. Since the bike trails of Central Florida are so new there is not always current information to find in the internet. Edith Kohlbach has assembled a little brochure (pdf-format) with description of the trails and currents maps, which you can download for free. All information is from March 2019. The Seminole Wekiwa Trail from Longwood to Altamonte Springs is the absolute highlight of the trails in Central Florida. Not only is it through beautiful nature, but part of the trail shows fence art paintings. An absolute must see – must do. The Spring-to-Spring Trail is one of the most beautiful trails in Florida. Four springs are located along the wonderful route through beautiful nature, each worthwhile to make a detour to the park. Whether it's pancakes at DeLeon Park or Looking for Manatees at Blue Springs Park, there's something for everyone. On the old, no longer needed railway embankment a very nice multi use trail was created, which leads from Edgewater to the Green Springs Park, altogether 57 km including a break of 5 km. At intervals there are benches as well as car parking spaces with restrooms. Another branch is at 28 km from Maytown Spur to Titusville. 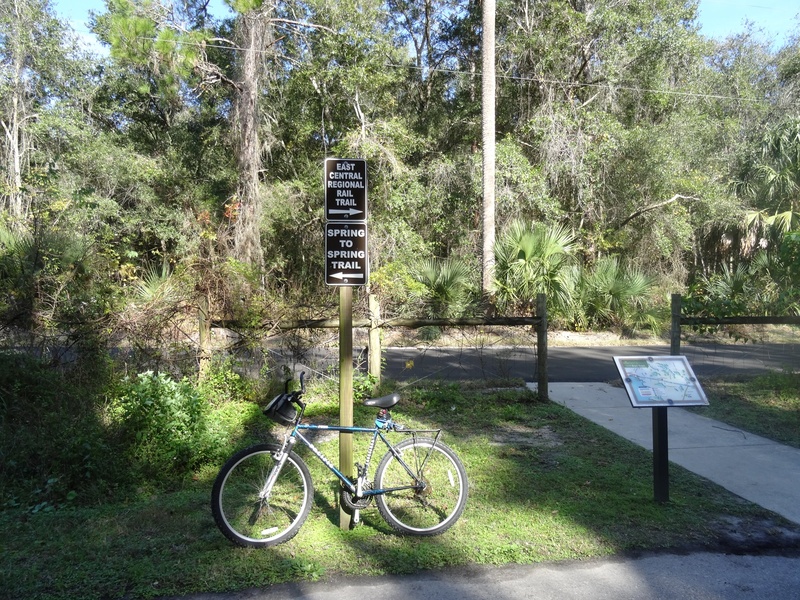 The nonprofit St. Johns River-to-Sea-Loop Alliance will enable completion of the off-road paved five-county SJR2C Loop trail by 2025. 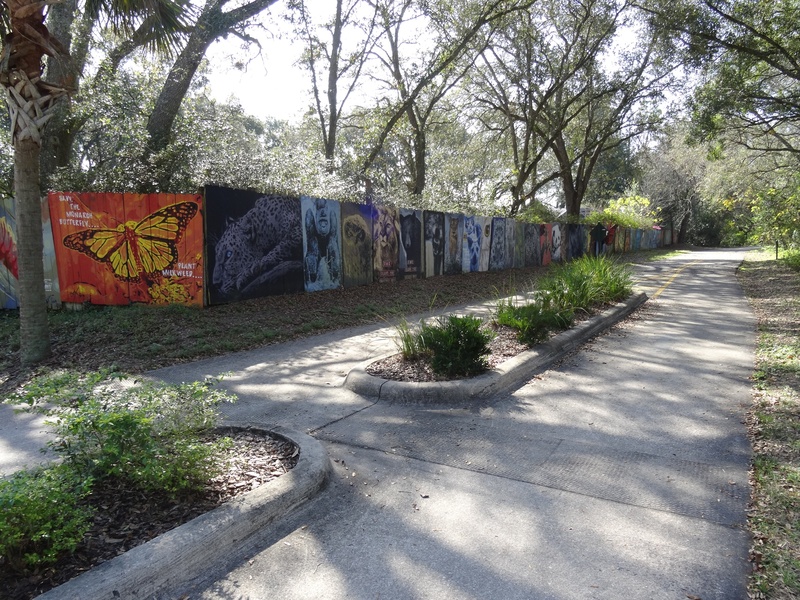 The Loop will become one of the most popular touring regions of Florida, inspiring residents and attracting visitors and new residents, and will connect people and communities and stimulate locally resourceful economic development along its entire 260-mile route. The Loop will become a model for active transportation and for place-focused tourism. The Alliance will become a model for stimulating local, regional and global involvement, support and promotion of trail planning, development and use. Special thanks to Marguerite Ardito, president of the alliance, for all her wonderful work.